Looking for more information or materials to help make your practice more effective? My workbooks, audio programs and teleclasses may be all the help you need. Click here to read more about my products. All of the products ordered through this site are guaranteed. If you know you’re not the ‘do it yourself’ type, you don’t know where to start, or you want the extra boost and accountability that comes from working with someone one on one, you may want to consider my consulting services. Click here to learn more about my services and how I can help. Or you can always email me or call to schedule a consultation: 631-642-0221. Need a speaker for your Bar Association, law firm, organization, event or conference? To get an idea of the topics I speak on and to learn more about engaging me to speak, click here. Not ready for one on one consulting? Want to get a taste of what I can offer? 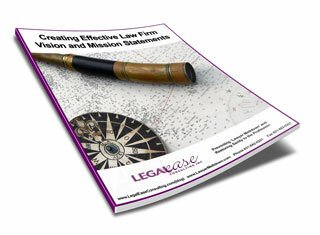 Take a look at my products that will help law firms identify challenges, devise solutions and move forward on their own. See all of our available products here. And don’t forget to review our terms and conditions for online purchases. If you think you might be interested in working with me one on one, please review my services. To find out more about booking me as a speaker, see below. A big part of my practice is educating lawyers and legal staff about management, business development, technology, productivity and marketing. I’ve presented private programs for individual law firms or lawyer groups, as well as numerous lectures, CLE programs and webinars for law schools, bar associations and others. To learn more about my speaking engagements, please see my Speaking page. Interested in booking me to speak at your event or for your organization? Contact me. Want to know where I’ll be speaking next? Take a look at my events calendar. If you think you might be interested in working with me one on one, read on. To learn more about me and Legal Ease Consulting, please see About. 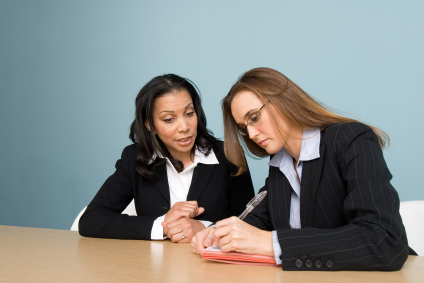 Legal Ease Consulting, Inc. offers a variety of consulting services and programs to help solo practitioners and law firm leaders build a successful, effective and enjoyable practice. Law firm issues aren’t one size fits all, so all of my programs are customized to meet the needs of the individual lawyer or law firm. We’ll start by working together to review your systems, structure and culture. I can help you plan and achieve the changes you want in your practice by bringing an outside perspective and identifying and eliminating obstacles or problems that you can’t see because you’re ‘too close’ to the issue. You’ll learn what’s really holding you back, whether it comes from within you, within your firm, or from external sources. Your information and your clients’ information are always kept in the strictest confidence. To hear an excerpt of an interview where I discuss working with solos and small firms, click here. Part of a larger firm with multiple partners? Hear me talk about the unique challenges faced by larger firms here. Did you know that the bio or “About” page is one of the most viewed page on a lawyer’s website? Despite its importance, the bio is often overlooked as a marketing tool, and many lawyers give it short shrift. Or they fill it with ‘legalese’ and jargon that only other lawyers – not clients – will understand. Don’t put your potential clients to sleep with a cookie-cutter bio that doesn’t set you apart. Let me help you create a plain-language bio (and other website pages, if necessary) that demonstrates your expertise and attracts the clients you’re looking for. Contact me at Allison@LegalEaseConsulting.com or call me at 631-642-0221 to discuss your project and request a proposal. (Other copywriting services are also available). To learn more about my coaching and consulting services, see my coaching and consulting page. To learn more about my process, please see How I Work. If you’d like to ask a question or schedule an appointment for a consultation, please contact me or call 631-642-0221. Don’t forget to take a look at the Free Articles on the site, or download the FREE report and get your bonus subscription to the Lawyer Meltdown Newsletter.